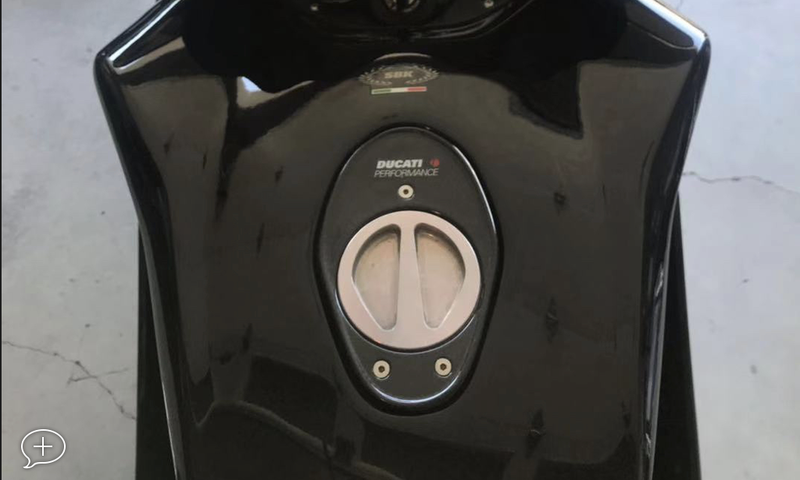 Can anyone recommend and alternate fuel tank cap? 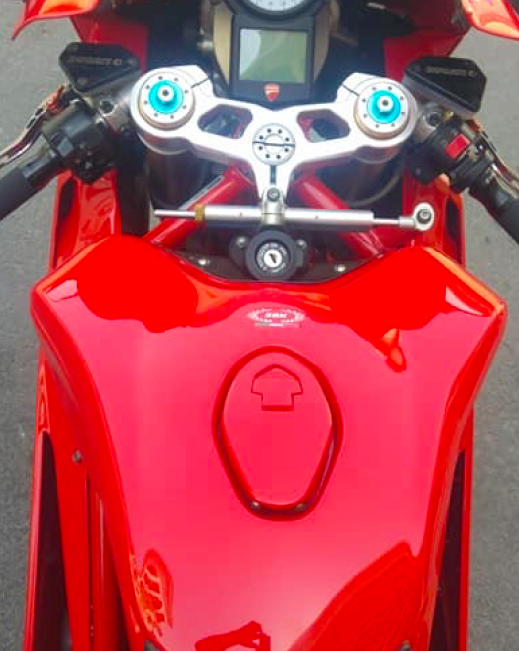 The 999 stock filler cap looks just blah! I agree the aluminium cap is pretty naff, it looks so much better painted. draganc and Old rider like this. Last edited by BobbyBoy; Apr 1st, 2019 at 12:19 pm. Reason: Replace attachment. 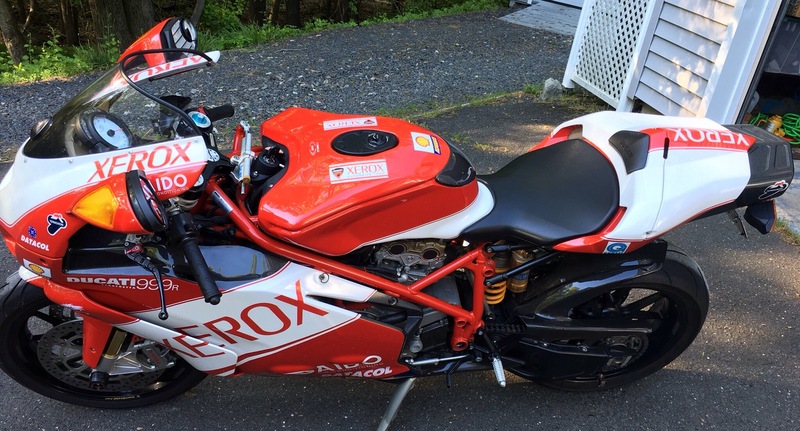 2006 999r Xerox. 57 mm full termi. That is one sweet looking bike. Looks as good as my parts unlimited. 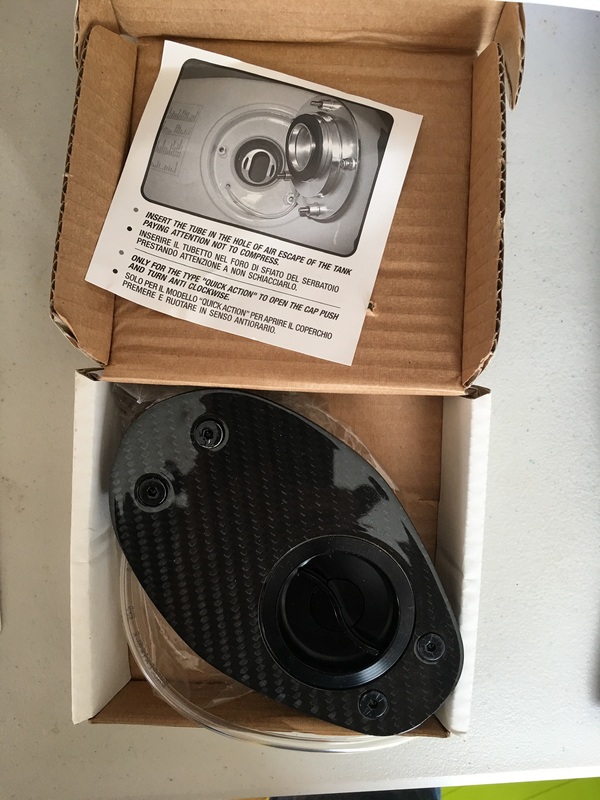 Any reason you switch from the carbon cap? I have a Ducati Performance cap on my bike. It looks nice. You still can find one at a good price on eBay. The carbon cap was never installed. I purchased the bike and some spares (like a really nice carbon hugger which I also still have sitting in a box) from the original owner. The carbon cap is beautifully made but the race tech cap looks a little more Racey I think. The carbon would look nice on a red or black bike with no race graphics. I had a 999s that had carbon hugger, tank guard, clutch guard and cap that look really great on that bike.